Montgomery had 25 points in the second half, hitting seven 3-pointers to break the WNBA record for a half - one more than Taurasi, Sue Bird and Sami Whitcomb. 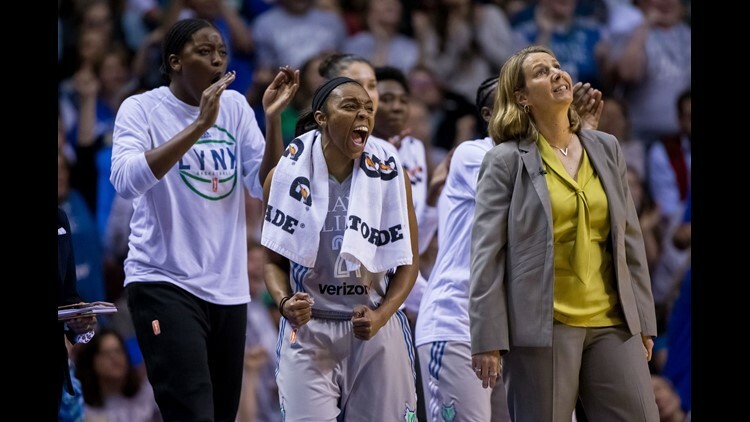 WHITE PLAINS, N.Y. (AP) - Renee Montgomery hit eight 3-pointers to match to WNBA regular-season record and scored a season-high 30 points to help the Atlanta Dream beat the New York Liberty 86-77 on Sunday for their sixth straight victory. Diana Taurasi, Riquna Williams and Shekinna Stricklen also have hit eight 3-pointers in a game. Montgomery had 25 points in the second half, hitting seven 3-pointers to break the WNBA record for a half - one more than Taurasi, Sue Bird and Sami Whitcomb. The Dream (22-10) erased a 16-point, first-half deficit by scoring 21 straight points early in the third quarter and outscoring the Liberty 32-10 in the period. Atlanta had its largest lead at 72-58 on Montgomery's 3-pointer to open the fourth quarter.